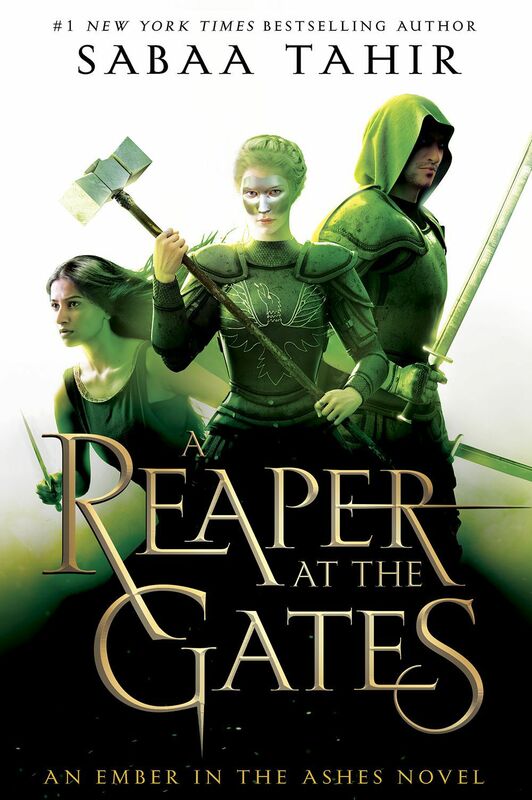 Helene, Laia and Elias must each follow their own path, surrender fully to their duties in the propulsive, action-packed A REAPER AT THE GATES. The stakes have never been higher as war looms—ancient, powerful machinations that could herald the end of Martials and Scholars alike. Duplicity subverts their best efforts, however, taking a toll on their spirit and the ones they love the most. Haunted by his past transgressions, Emperor Marcus is more volatile and sadistic than ever. Helene—now Blood Shrike—is backed into a corner, bent to the Emperor’s will to protect her sister, Livia. Worse yet, she finds herself pit against the ruthless, ambitious Commandant, who will stop at nothing in her insatiable pursuit of power. The Commandant has allied herself with the Nightbringer—the ultimate puppet master whose ancient quest for revenge changes the game. Laia realizes it’s him she must go after, stop him before he can enact his vengeance, but do so, she must step into a role she never wanted and face her past head on. Meanwhile, Elias struggles to fulfill his duties as Soul Catcher, breeding chaos that reaps cataclysmic consequences. Without surrendering his life and those he loves, he cannot harness the magic he inherited, the magic necessary to fulfill his vow. And although the journeys of Laia, the Shrike and the Soul Catcher diverge, their quests distinct, they all come together in the book’s harrowing climax—a fallout to be resolved in the final installment of the series. At 458 pages, the book is on the long side, but there was enough going on to keep my interest. There are plots and counterplots abound, our protagonists constantly grappling with the cost of duty, the sacrifices they must endure for the greater good. The narrative unfurls in three main point of views: Laia, Elias and the Blood Shrike, but we do get one more insightful perspective before the end. It’s a tangled web of treachery and political maneuvering balanced with complex characters whose real suffering and struggles lend the story the necessary pathos to keep us connected. All in all, REAPER is explosive and exciting, suspenseful and full of surprises. Tahir continues to deliver in this adrenaline-packed, vividly imagined saga. Avid readers of the series will be pleased and clamoring for the final chapter.